It’s probably one you’ve read already tactical surrender by destinies on archive of our own . Yeah I know am behind in reading but am reading complete fictions now as I get confused leaving something halfway and going back to it though I have all the fictions recommended and bookmarked as recommended on reylo Fan fiction part of this forum . The idea just reminds me of that . So glad you shared this AhsokaTano! I guess we'll see - I kind of hope Poe is not a major character in Resistance..
Resistance has been in the back of my mind.. I think I need to read the early Poe comics. I've neglected them so far because I can only take Poe in small doses lol. Seems to me this is telling us that the resistance had tussles with the FO before, but they had not fought them out in the open.. which means that we won't be seeing any big or open battles in Resistance. I think this suggests it's going to be lots of covert stuff -spying, but also action that is less confrontational maybe.. does that make sense? I'm thinking resistance may be the story of the creation of the Resistance movement.. When it was secret, and the New Republic was getting organised and de-militarizing. It could be the resistance working in the shadows - hiding from both the FO and the New Republic. That could be super interesting! okay my SW fun time is used up! LOL. Byeeeee! Thanks for the link. Actually, I haven't read that one yet, but it looks good. I'm way behind on fan fic, too, partly because I've been busy, but also I tend to like to wait and read long fics when they are finally complete. I know what you mean about getting confused when leaving something after only reading part of it, especially if it's a fic that isn't updated that often. Hi! #StarWarsResistance is a CG animated show, with an anime inspired design. Hope that helps! We'll be sharing more news very soon. Have a great weekend too! "Polygon Pictures will be producing animation for Star Wars Resistance, the newest Star Wars animated series. It previously produced animation for the 3D CG series Star Wars: The Clone Wars." Whoo hooo! it's really happening! 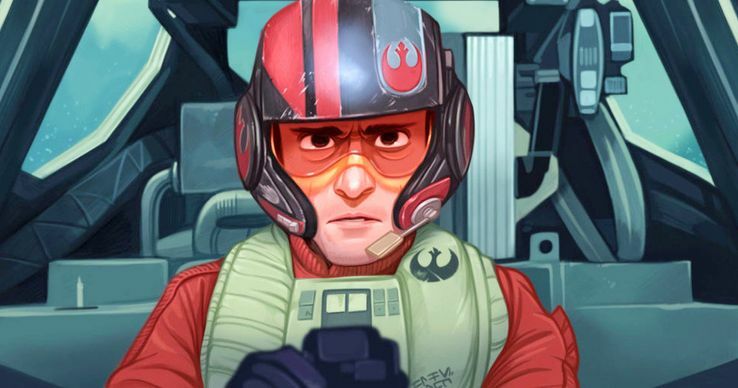 The synopsis for the first episode has been published..
"Resistance fighter Poe Dameron tasks young pilot Kazuda (Kaz) Xiono with spying on the First Order. At the time, little was known about the secretive organization and its strength. In order to fulfill his mission, Kaz travels to the space station Colossus, which is being used by many ships as a port to refuel and do repairs. However, there are also dangerous races taking place there. After Kaz bragged with his piloting skills at his arrival there, he is soon drawn into one of the races..."
Is this an official image? The space station Colossus make me think of the Wheel from the "Adventures of the Freemakers". A great serie, it's Lego but it has really good stories, characters, planets. It has also a lot of references to the prequels (even a droid B1 as a main character). About Resistance, I don't know what to think of this synopsis. I'm more waiting to see images and videos. I think the animation will take some getting used to because it’s anime style and am used to cgi styles of Rebels and clone wars . Am gonna link reaction to it too because the feedback is interesting as some have pointed out that in the trailer there is a 3700 year old ship from the old republic in it . Interesting. Most interesting. I'm okay with the animation, it reminds me of 'Skyland', an old show I liked. And a good idea for the link to the reaction to it, I found my favorite comment. It's a reply to someone who say 'They went full kids show this time'. Clone Wars Season 1: Jar Jar saves cures cancer and Ashoka learns how to be a friend while babysitting a little Hutt. Rebels Season 1: Zeb and Ezra go out to buy fruit, but find the power of friendship instead. Also, lando has funny expanding pigs! Well, TCW is set to end with order 66. So maybe Resistance will end with the destruction of Hosnian Prime. Great assessment! Here’s an article from StarWars.com. The series timeline takes place a few years prior to the events of TFA. The timetable looks like the ending might be right around the Hosnian Prime destruction. That would be cool. Great catch! I had go back and rewatch. Hmmm!? Maybe it’s a hint and Snoke’s origins/age? 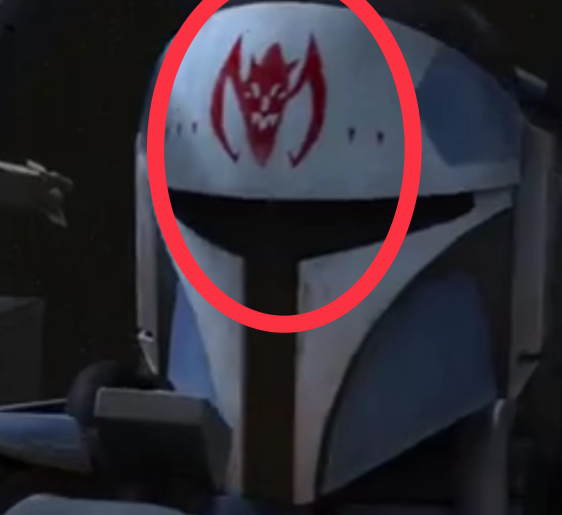 I think we have a Mandalorian Protector in the Resistance. Sooo interesting...So many new theories forming. I will be posting my theories on this in “The Rey Kenobi Files” thread (for those who are interested). Many of my Mando speculations tie heavily into the idea of Rey being a Mandalorian. And it would be nice to have a fixed date to know where we are precisely in the timeline. Also to determine the number of seasons (with Rebels it was 1 year = 1 season). There was also references to the Old Republic in Rebels with the Hammerhead-class cruiser. I don't think it's linked to Snoke but rather to a future project in TOR timeline. And I'm not really sure. Good catch for the Mandalorian Protector! @TheBastardofMandalore wrote: I think we have a Mandalorian Protector in the Resistance. Sooo interesting...So many new theories forming. Some people found another appearance of the symbol of the Protectors. Funny. Was I the only one who got the vibe that they wanted a very "masculine" show? Poe is the silent, broody, masculine hero. We don't see girls. I don't mean that Resistance is not going to have good female characters, or that it's going to be sexist in any way. We don't know it. It has Leia, for example. I just mean in terms of branding, how they are going in a masculine direction. I think that if they're doing it to please the dudebros, they are wrong, because kids aren't complaining about female characters or diversity. It remains to be seen what the show is about. The animation looks better than I expected, honestly, since I am not a huge fan of anime. The series sure does look promising though! Also, anyone else tired of how much negativity is surrounding it on youtube and other forums? @Man Without A Star wrote: The animation looks better than I expected, honestly, since I am not a huge fan of anime. The series sure does look promising though! Yes, like people are shocked it's primarily for children. Wasn't Rebels aimed fairly young as well? I heard TCW also started rather young-aimed. And FoD got the same kind of backlash. Yes, the cartoons are for younger kids, and that's fine. That doesn't affect any potential quality it might or might not have. SW has content across different mediums aimed at different audiences, so everyone has something, and there can be something that isn't for everyone. Yes, exactly! And also the fact that as someone else already mentioned, both TCW and Rebels got better with each season, because they matured along with their audience. I think that is a great approach. Introduce the younger audience to the wider universe and grow with them with each season. And considering the timeline this show is set in, I see a huge potential in this series. I see it as a sort of 'tradition'. When TCW was broadcasted, it was not as loved as people would like to remember. I went to old posts on another forum and it was tough for most episodes and tougher for some of them. Then it was cancelled and to the general opinion it became a fantastic serie while Rebels was this ugly little sibling nobody wanted. Now Rebels ended and Resistance is going to begin, and I can already see the same people who spited on Rebels say it looked better than Resistance. So don't get affected by this negativity, it's just some people who embody the 'Older Is Better' trope. As for the potential of this serie, I think Lucasfilm chose this animation studio to make a cartoon about space races and an animated X-Wing serie. We are going to see a lot of ships, different and beautiful, and dogfights in space. Machiavelli once said that there is nothing more dangerous or uncertain than introducing something new to a broad public. This, he said, is partly due to 'the incredulity of men, who do not readily believe in new things until they have had a long experience of them'. I love Machiavelli! And he was absolutely right in that regard. People are afraid of new things, because they represent change.